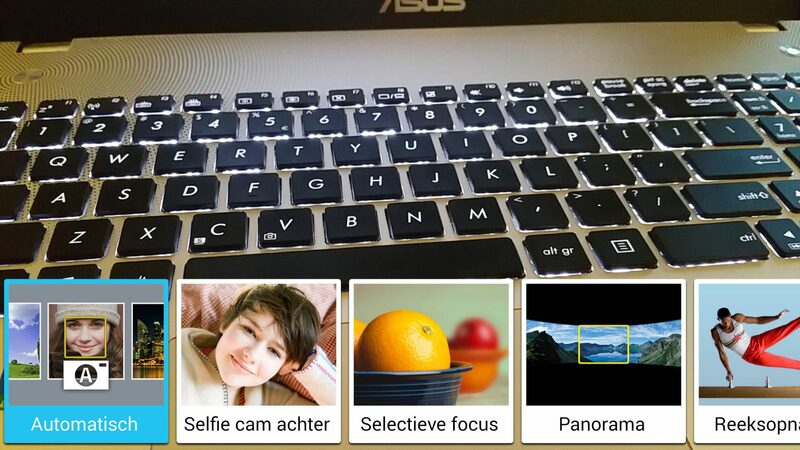 Review about the Samsung Note 4 camera. A big smartphone with a 16 megapixel stabilized camera and a big 5.7 inch screen. 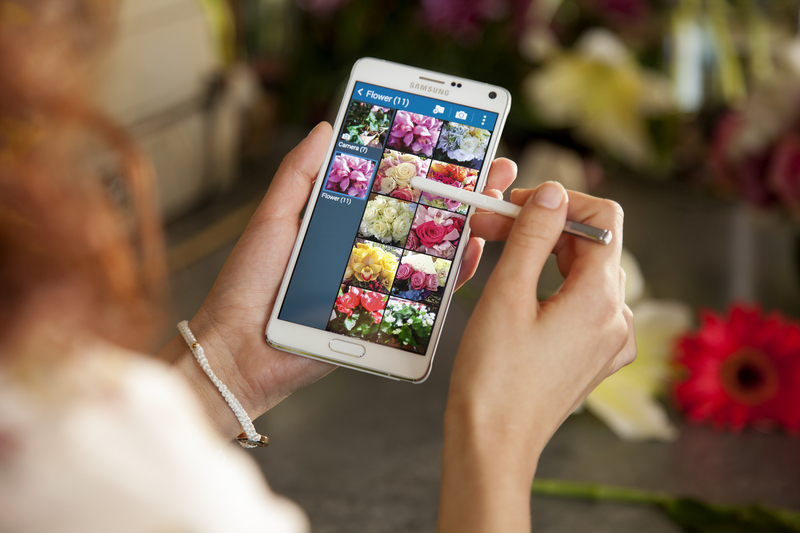 The Note 4 is one of the most capable Android smartphones of the moment, and has got a high end camera with OIS. Does all this make the Note 4 the ideal smartphone for photographers? When shopping for a new smartphone there are three things on my shopping list. I want my phone to be fast, have a good screen and the best possible camera. I use my smartphone as my everyday walk around camera for the moments I don’t have my real camera at hand. And being a photographer I want the best possible quality. If you go shopping with this list you’ll find there aren’t too much phones to choose from. Especially since I’m an Android fan, so the iPhones weren’t an option at all. This time around I chose the new, Samsung jumbo phone, the Note 4. In this review I’ll try to tell you more about its camera. I won’t go in to details about the phone itself, the short version: great phone, fast, stable, superb screen, handy pen and relatively small for a big phone. For the rest you can find plenty of reviews online. This will be a rolling review. I’ll add more info and photos during time. Samsung has outfitted the new Note 4 with a 16 megapixel camera and a f2.2 lens. Samsung has chosen the new Sony IMX240 camera module for the Note 4, which is a little strange since after using Sony modules for some time the switched to a Samsung sensor for the Galaxy S5. The 16 megapixel module is stabilised (OIS: Optical Image Stabilisation), a first for me as my previous phones never had stabilisation (except for digital video stabilisation in my Sony Xperia Z1). The camera is joined by a flash module on the back (that is also used for the hopeless heartrate sensor). The flash is placed a little under the camera, but still too close to the lens to prevent red eyes. The rear camera is capable of shooting Ultra HD (4k HD) video, and of course the normal HD, HD-ready and other resolutions are available also. Samsung is quite proud of the front facing camera. It is a 3.7 megapixel sensor with a f1.9 lens. It’s got a panorama-selfie mode you can use to take a selfie with more people in it. But since I’m not 16 years old anymore I don’t use the front camera. The Note 4 has got a big 5.7 inch Amoled screen with a very high Quad HD resolution (2560*1440 pixels). Because of the Amoled technology the screen has got a very high contrast rate, meaning the blacks are deep black and colours pop off the screen. 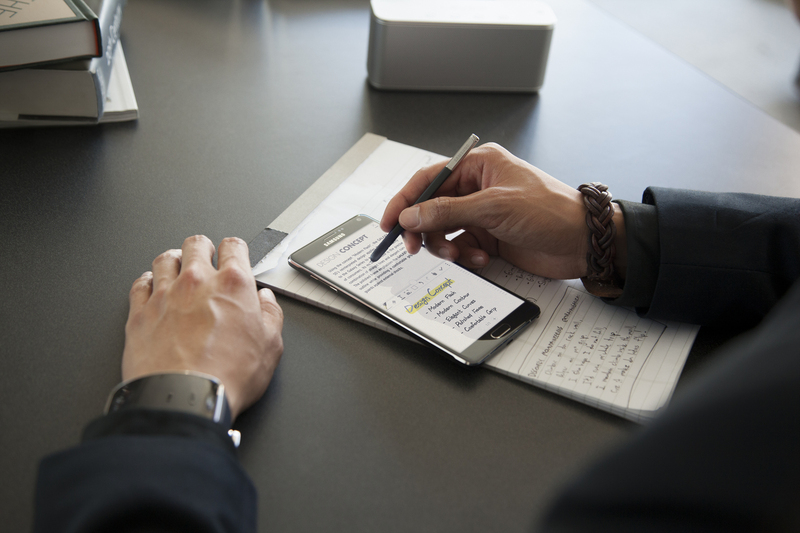 When using the phone outside the screen can get extremely bright, this way Samsung has solved one of the problems of the older Amoled screens as they were not readable in bright light. I really like using the Note 4 with the Sony play memories app of my Sony A7 camera. This way I can use the big screen of the Note 4 as a live view screen and remote to take pictures from a distance. I can also copy the photos I’ve taken to my phone to review them (the A7 resizes the images to 2 megapixel before sending them to the phone). As you can see in the following screenshots the camera app is quite clean. In the base mode you have only a few options to use. 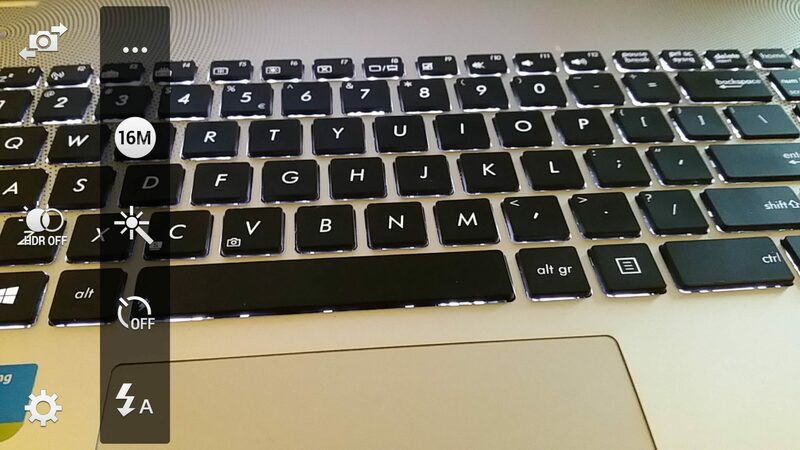 So even a novice user can take a photo without getting lost all the options. If you want some more control you can open the options menu which shows a few more options. 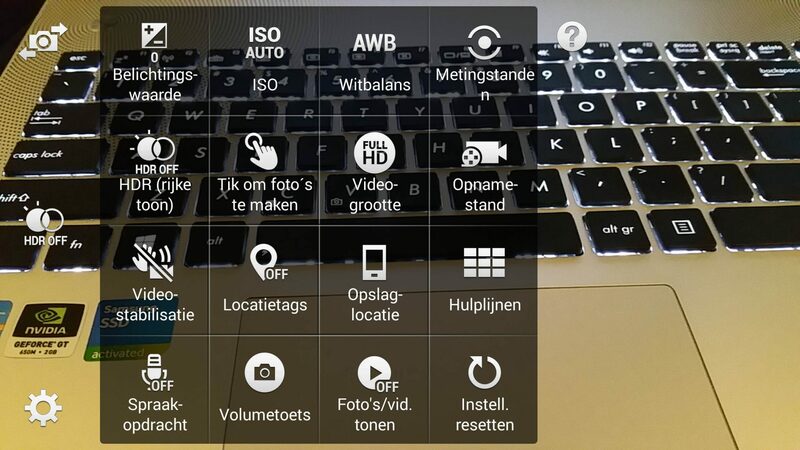 If you want even more control over your camera you can open up the big menu with all the controls and dials. 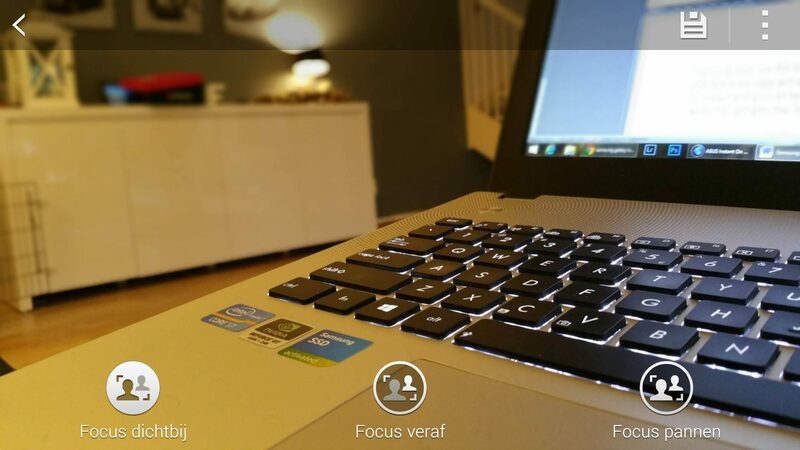 The phone focuses automatically and shows a little animation on the screen to show you where it’s trying to focus. If you don’t like the focus point you can use tap to focus. You can chose if you want to tap to focus and immediately take a photo, or just focus and take the picture with the shutter release button. And you can set the volume down button as a secondary shutter release, which can come in handy because of the big screen. Autofocus is fast and accurate. Tracking moving objects isn’t really an option, but since it’s a smartphone instead of a Nikon D4s I can’t really blame it. In low light the autofocus does slow down somewhat, but it didn’t really let me down. Samsung does use the OIS very well. The camera holds off on using the flash as long as possible. If it get dark a message will appear prompting you to keep the camera steady while taking a photo. With a steady hand you can take some very acceptable photo’s in low light. Of course there is some noise when the light gets real low. 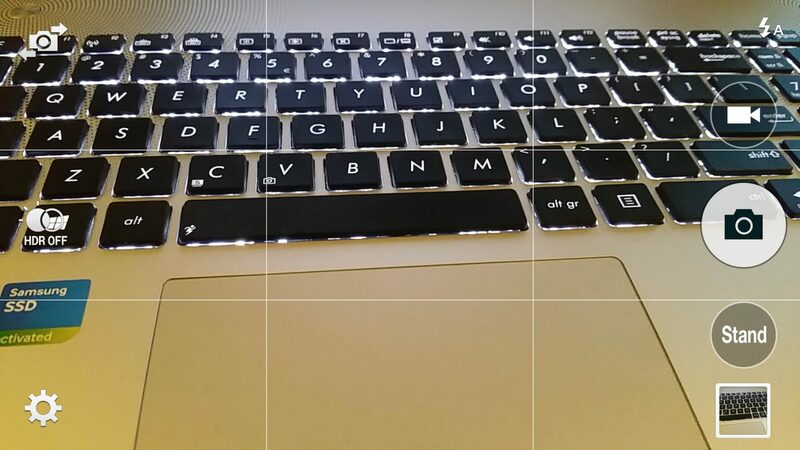 Samsung hasn’t overloaded the camera app with extra photo modes like Sony does with their Xperia models. You can use the Samsung store to add extra functionality like slow motion video, food photos and other gadgets. In the standard modes there is the selective focus function. This is about the same as HTC does with their dual camera setup on the HTC One M8. You take a photo and you can adjust the focus in the gallery app. While HTC does this with the double camera Samsung relies on software to do the trick. This does mean the camera has to take two photos to achieve this effect, so you have to keep the camera steady. The resulting photo and effect does look good. It’s a bit of a gimmick, but a nice one at that. Of course there is the obligatory panorama mode. As with my Sony phones this does a nice job op capturing a wide scene, and the stitching is quite good. I’m no videographer. Besides the occasional candid video I don’t shoot any videos with my phone (or photo camera for that matter). I did try some videos, and the full HD videos shot in high quality are very clear and sharp. During shooting video the autofocus is still very fast and accurate. In the videomodes there is an option called smooth motion. This shoots the video in an extra high framerate (60 fps? ), but does reduce the resolution. Combined with the OIS this results in very smooth and pleasant looking videos. I was quite impressed with this function. It doesn’t have that nice 24p movie-look, but for action shots the result was great. Slow motion video is available but nowhere near as impressive as the high framerate options the new iPhones or the new Sony Xperia’s have. As I don’t have a Ultra HD screen or tv I didn’t try the Ultra HD video. This phone takes amazing photo’s. Of course a smartphone is more about snapshots than taking artistic photo’s, but the hardware will not hold you back. The images this phone produces can match every small point and shoot camera out there. Sharpness and contrast are very high. Samsung does over sharpen the images a bit. This looks good on the screen of the phone and helps to get the ‘ooo’s and ‘aaa’s of the people looking at the photos on the screen. When you download the photos to your computer the over sharpening is a bit too much for my taste. The same can be said for the colours. Samsung has a preference for over saturating the colours in the pictures and on their Amoled screens. This does attract the attention of the viewers, but does mean the photos don’t exactly look like the real thing. For dramatic sunsets this is fine, but in some portraits and landscapes this can cause a bit of a strange look. The phone has a fast working HDR mode that works well. When using the HDR mode the images look a little brighter, without the over processed look HDR images sometimes seem to get. Taking the photo in HDR doesn’t slow the process down, so you can keep the HDR mode turned on for most photos. HDR doesn’t work on moving subjects, those turn a little blurry. In the following gallery I’ve added some snapshots I’ve taken recently. Not even close to art, but just a mix of snapshots in a wide variety of situations. I’ll add some extra photos soon. If you are looking for an Android smartphone with a very good and capable camera the Note 4 may just be the phone for you. The OIS is a great addition that greatly improves the usability in low light, without overexposing the image with a white burst of LED-flash. Samsung does oversaturate and sharpen the images a bit, they could tune that down a little. Product images in this review taken from the Samsung NL press site.